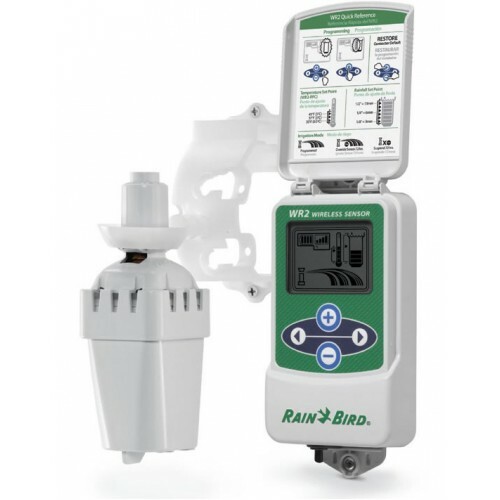 Rain sensors are becoming “must have” components for irrigation systems these days. Rain Bird designed the new WR2 wireless sensor to exceed the standard. With revolutionary features, this sensor saves time, improves system performance and enhances your reputation as a water management expert. Rain Bird designed the WR2 so that one person can install it quickly and easily. Programming the WR2 is simplified for fast set-up. Unlike other rain sensors, the WR2 has a long-lasting battery that’s quick and easy to replace. The WR2 system overcomes most line-of-sight obstructions so you have freedom in locating the sensor. Weather data is updated every 45 seconds to ensure the most reliable communication between sensor and controller. Rain Bird is taking the convenience of the modular controller a step further with the ESP-LX Modular.Here’s a scenario. The season is changing from Spring to Summer. The weather is getting warmer and that means adjusting your controller to increase watering levels. With competing modular controllers you would have to make adjustments manually. ..